← The Community can use the Library too! Summary: Celaena Sardothien has been a slave in the Salt Mines of Endovier for over a year, yet she’s still sane and extremely deadly. Celaena is the notorious Adarlan’s Assassin and this title has been feared for many years. 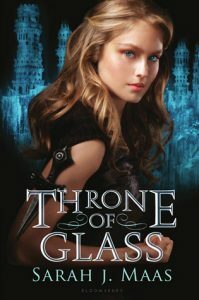 The reason she’s freed is so that she can compete in a competition to be the King’s Champion and she’s the Prince’s pick. If she wins the competition, she’ll serve the King for six years before being free at last. The only thing Celaena wants is to do is be free so she can forget her haunting past and all that she’s done. However, when other competitors begin mysteriously dying in the dead of the night, someone has to figure out what’s happening to them. First of all let me say that this is pretty much my favorite series ever and it’s taken over my life, just a little bit. I didn’t think I’d come to love the characters as much as I did. 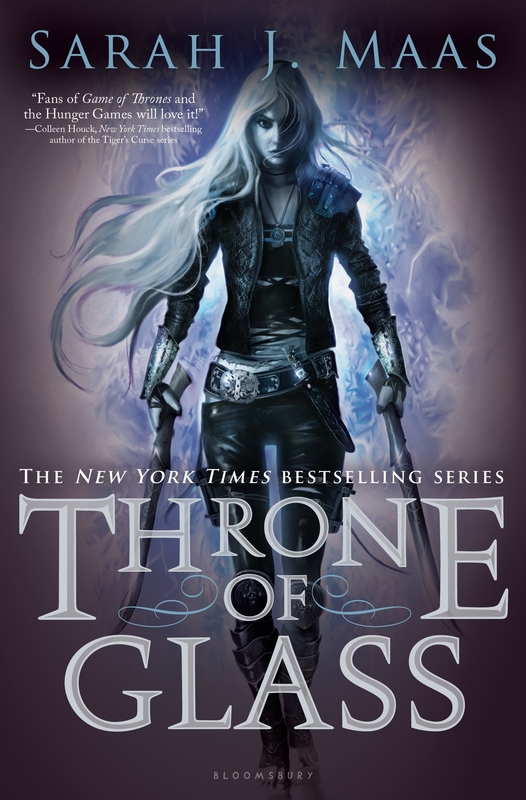 This is also the second time I’ve read the series and I still love it so much, I need the fifth one now! First of all, the writing is so beautiful, I swear it’s like there’s a movie playing in my head the way I absorb the words. 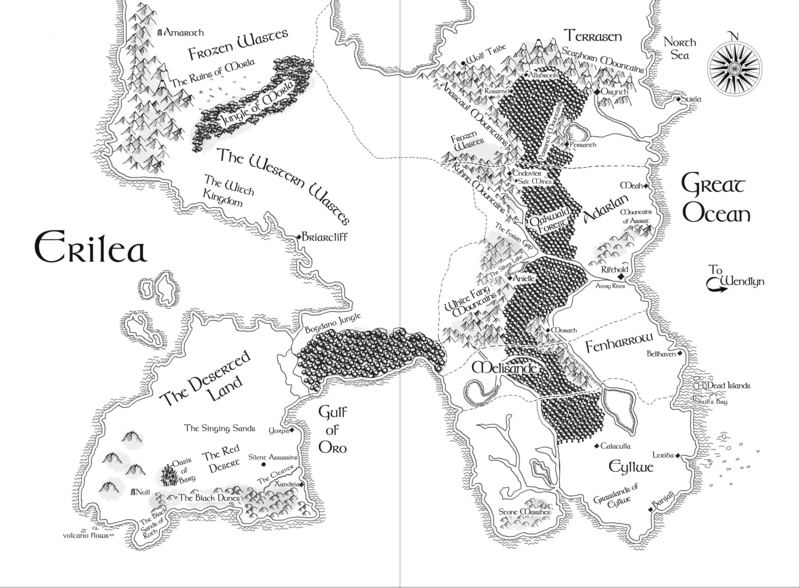 Maas creates a distinct, flawed yet fantastic world, complete with an awesome map inside the front cover. Celaena is a very interesting main character. She has such a rich backstory and Maas slowly reveals things throughout the whole series. I feel like I know her so well, but at the same time there’s still things about her I’m learning. Like stay far away from her bad side and don’t murder her friends/family, you will not like the end. I loved her sass and swagger, I’m not even lying when I call it that. Celaena is so full of personality that she jumps off the page. She will fight for what she thinks is right and she’s not afraid to speak her mind. 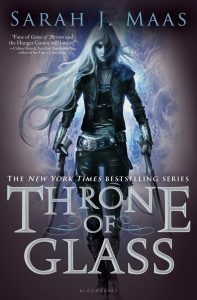 The rest of the characters are just as unique from the bookish yet handsome Prince Dorian to the extremely loyal though quiet Captain of the Guard, Chaol. Chaol is more of an introductory character in this book, though he goes on to have a huge role in Crown of Midnight. The plot is very well thought out, there are many twists and turns, as well as foreshadowing! The foreshadowing in itself is particularly amazing. Maas manages to hint at events to come and events that have already come, which makes the series even more fun to reread trying to find all those hidden gems. There might be a couple slow moments in the book, but it’s never boring. Something is always happening from weird ghost sightings, murders, the competition, Celaena being a badass, to the flirtatious encounters with Dorian that make your heart melt. And this is only the first book in the series! This book is awesome and I can’t express how much I love it. I’d like to recommend this to everyone, because yes it is that fantastic. 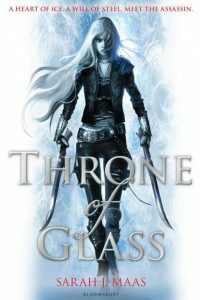 Fans of fantasy, action/adventure and mystery will enjoy it as well as fans of His Fair Assassin Trilogy, Vampire Academy, and Graceling.